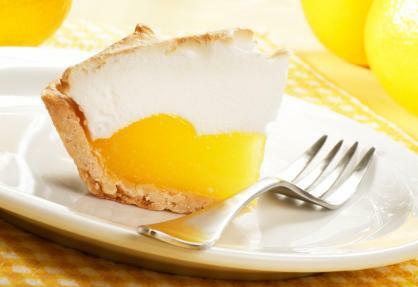 The best lemon meringue pie has a blend of tart and sweet flavors, and creating a creamy, lemony filling is the key to this dessert's success. With just a basic pie crust and a few simple ingredients, you can easily make an impressive pie to serve family and guests alike. Be sure to assemble all the tools and ingredients before you begin. This pie takes approximately one hour to prepare, with additional time needed for cooling before serving. 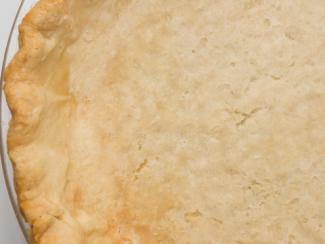 For this pie, any basic crust recipe will do very nicely, or you can bake a frozen pie crust if you prefer. Simply prepare the crust as directed, bake it in a pie pan, and set it aside to cool while you prepare the filling and meringue topping. 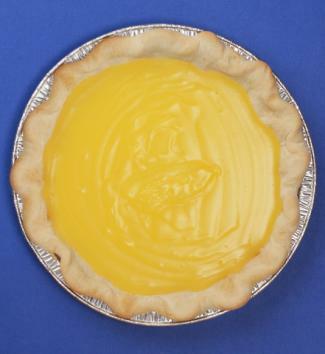 The filling is the heart of the pie, and freshly squeezed lemon juice is what makes this recipe so delicious. To make the filling, beat the egg yolks in a bowl using a fork. Set them aside. In a small saucepan, mix the sugar and cornstarch together. Gradually add the water, stirring the whole time, while heating it over medium heat. Continue cooking and stirring until mixture reaches a boil. Boil and stir for about one minute until the mixture thickens. Stir about half the hot mixture quickly into the egg yolks, and then pour it back into the saucepan with the rest of the mix. Stirring constantly, bring the mixture back to a boil for at least two minutes until thickened. Remove from heat, and stir in the butter, lemon juice, lemon peel, and food coloring. When the mixture is well stirred, pour the filling into the pie crust. 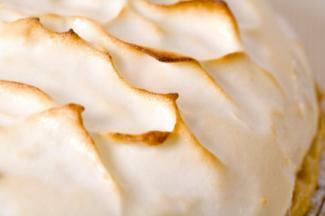 This lemon pie just wouldn't be complete without a fluffy meringue topping. Using a very clean metal bowl, beat the egg whites and cream of tartar on high speed until the mixture foams. Gradually and slowly beat the sugar in one tablespoon at a time. Continue beating until the mix forms stiff peaks, and then add the vanilla. Remove the meringue from the mixer and spoon or pipe it over the pie filling, making sure you seal the edges to the rim of the crust. Bake the pie about 8 to 12 minutes until the meringue just begins to color. Cool and chill for an hour or two before serving. While you can use frozen pie crust or boxed lemon pie filling if you don't have time to bake completely from scratch, nothing tastes quite as good as a homemade lemon meringue pie. Try out this recipe with your family, and they may never let you bake anything but homemade pie again!